닛코산내·사찰경내의 한획에 위치하는 당관은,센다이다테공별저자취에 세워져있는, 유서있는 장엄한 숙소입니다. 스며드는 고요함, 사계절 그때그때로 옮겨가는 자연미를, 동관장만이 가능한 정취를, 마음껏 느껴보세요 . 숙박시저녁식사로는,본진진지·또는탕파정진요리진지두가지중에서 좋아하는 메뉴를 선택 할수있습니다. 메뉴의 지정은, 반드시 예약시에 부탁드리겠습니다. 지정이 없는 경우에는, 본진진지으로 준비하겠습니다. 또, 추가요금에서 본진 진지를 보다 그레이드 업 시킨 특선본진진지도 준비 할수 있습니다. 자세한것은 예약시에 문의해주세요. （사진은 가을의 메뉴입니다）. You can choose from two dishes, which are Honjin dinner or Yuba vegetarian food for your dinner. Please clarify you choice when you reserve. Honjin dinner will be served if a certain choice is not informed. Also, an optional dinner will be available with additional charge. Masamune Date, who was the feudal lord of Sendai (Former Miyagi prefecture), but had pursued enjoying delicious food after he retired. Dishes at that time have been arranged for modern taste. An upgraded special diner will be available with additional charge. 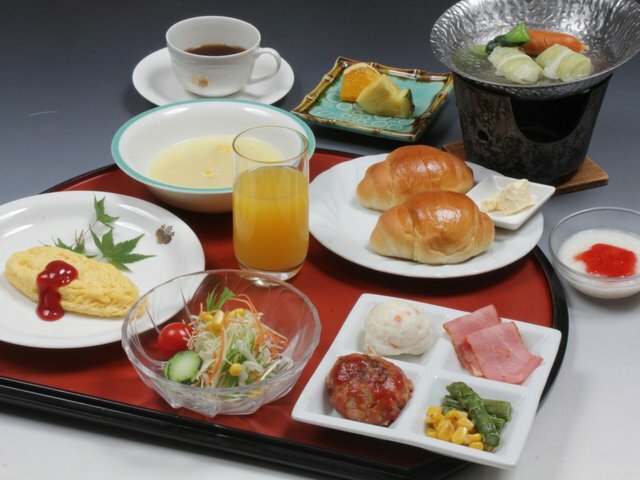 You can choose either Rice,��miso soup or Bread,��soup breakfast. Please clarify your choice when you reserve, or check-in time. 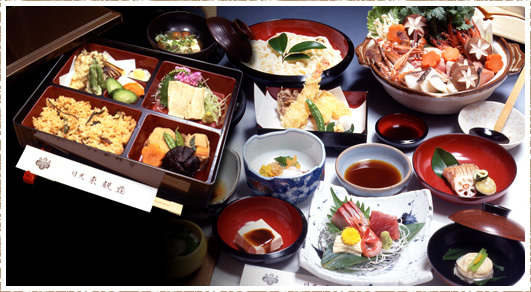 Japanese style dishes will be served if a certain choice is not informed. ※ 사진의 요리는, 계절에 의해 약간 변경하는 경우가 있습니다. ※ 그 외의 진지도, 예산에 따라 받습니다.